Any sports supplement which is doing well on Amazon gets my attention. This suggests that Evolution Nutrition have got the formula right with Trans4orm. However can clever marketing compensate for a poor performing product? Let’s find out by looking at the facts. 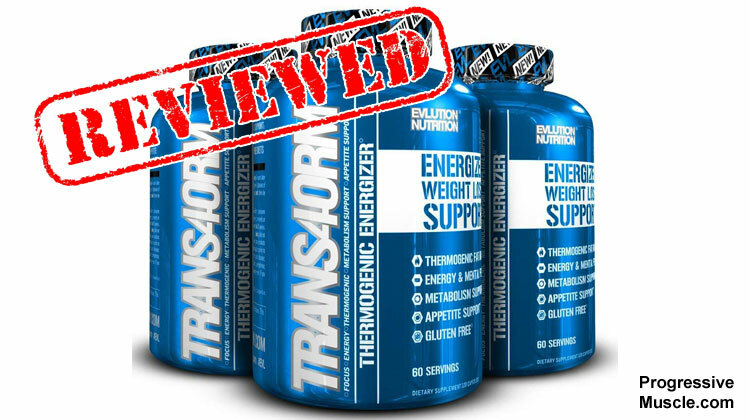 Evolution Nutrition is a Florida based company that states Trans4orm has been scientifically engineered to achieve effective fat burning and other benefits. 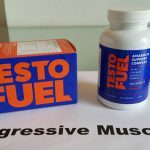 They are a well-established firm and offer a wide array of products including a stimulant free fat burner LeanMode and a test booster EVLTest. They also have won several awards; so it is certainly hard to dispute they are genuine; which is why it’s time to take a look at Trans4orm in more detail. However is it really the fat burning & energy increasing supplement it appears to be? We are going to see if there is any truth to these claims by looking at the science & studies behind these nutrients in-depth and then we will tell you if it is worth parting with your hard earned cash. Part fat burner & part brain booster – master of neither! Overall this isn’t the best fat burning formula we have seen. Essentially it is half fat burner and half nootropic (brain booster) but ends up mastering neither. On the plus side it uses a proprietary blend which means you can see everything you are getting and associated quantities. 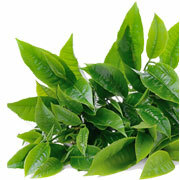 The generous doses of the top nutrients green tea and caffeine ensure this has product has some fat burning potential. The cognitive enhancers while abundant aren’t the best choices for a brain supplement. Particularly Huperzia Serrata which can cause side effects and its tolerance issues mean it isn’t effective long term. The bad choices then are the Yohimbe Extract which is known to cause ill effects and Coleus forskohlii which is still largely unproven in studies. Performance could have been dramatically improved with a few more thermogenic ingredients. Something like Cayenne Pepper or red chili plus the addition of an effective fibrous appetite suppressant such as Glucomannan. Below is a more detailed look at each component. There is no doubt that this is an excellent nutrient to start with. Green tea is one the best natural fat burners on the market due in part to its thermogenic abilities. This means it raises your body’s core temperature; forcing your body to cool itself. In the process additional calories are burned; helping your body to burn more fat. Green tea has now been used in South Asia for over 4,000 years and it is actually the same plant as black tea but has not undergone the fermentation process. This ensures the active ingredients are unchanged. This allows the polyphenols in green tea to boost your production of norepinephrine aka the fat burning hormone. Your body responses to this increased production by releasing more energy from glucose and oxygen and increasing your metabolic rate. This increases the rate of fat mobilization and prepares you for physical challenges as well as increasing your core temperature! Add to this the antioxidants in green tea and you’re getting a health boost as well as burning more fat. Numerous studies have shown this plant helps to effectively burn fat. This is not really a fat burner but it may help in other ways. Namely with workout performance in the gym. Choline has been shown to help with cognition by promoting your brain’s learning neurotransmitter. Therefore by enhancing your focus, memory and concentration you can in theory have a more productive gym session. It may also keeping you more alert on a low calorie diet. It’s a nice addition but certainly not a game changer. 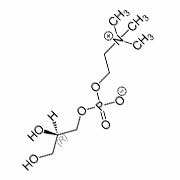 This amino acid doesn’t have so much potential. In fact there is no link yet between this and your fat burning capabilities. 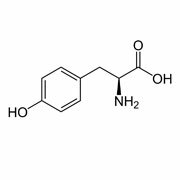 Having said that, research does show that this amino acid supports your brain in creating dopamine and other neurotransmitters while reducing levels of the stress hormone cortisol. This does appear to help with focus and lower stress which could improve your determination and results when working out. But it won’t have a direct effect on your fat loss attempts. 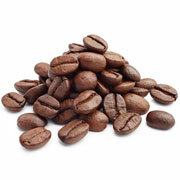 Nearly every fat burning product should contain caffeine. You already know that caffeine is a natural stimulant; it may even be your go to drink to get you fired up in the morning. What it does to achieve this energy boost is increase your levels of epinephrine and norepinephrine. These hormones cause fatty acids to be released from your cells. The result is your body is able to burn these fatty acids and create energy. This accounts for the boost in energy you feel after having caffeine. Certainly this is useful when you want higher energy on a low calorie diet. In addition the caffeine will increase your body temperature; forcing your body to burn calories returning your temperature to normal. This is a powerful aid to your fat burning goals! 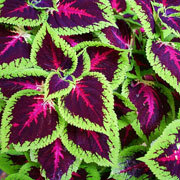 Coleus is actually an herb that has been used in traditional Ayurvedic medicine for many years. 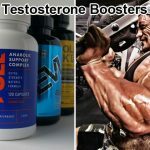 Some research suggests that it can boost your testosterone levels. This could be beneficial to your ability to build muscle and burn fat. It has also been linked with an increase in cellular levels of cyclic adenosine monophosphate. Higher levels of this in your body have been linked with fat burning. However, the results of research are based on a 500mg a day does; the level in Trans4orm falls far short of the research amount. Much more research is needed to know if this is really an effective ingredient or not. Results if any are likely to be insignificant here. This is another ingredient which appears to boost cognitive function and focus. This may help you to work out harder and burn more calories but it is not a direct fat burner. It is also known to improve your memory which could make it a useful supplement as you age. Some research suggests that this compound can increase the amount of fatty acids in your blood. This will happen approximately 2 hours after taking the supplement and is a result of it breaking down fat in your liver. But you still need to exercise to use this fat or it will return to your cells. So overall this will mainly help your gym performance by giving you more focus. Although with such a low dosage you will unlikely notice any difference. A poor ingredient for fat loss and appetite suppression due to its negative side effects. 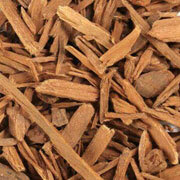 Yohimbine comes from the Yohimbe tree in West and Central parts of Africa. It has been used for many years to treat erectile dysfunction as it increases the amount of blood flowing through your body. Research shows that this compound is capable of blocking receptors in your brain which prevents the release of the fat burning hormone norepinephrine. Essentially the more norepinephrine you have in your system the higher your fat burning capabilities. It is also has some effect at reducing appetite. However, yohimbe is known to have damaging side effects, particularly in high doses with many Western countries banning the substance from sale outright. Research is still limited on its effectiveness but a large number of users have reported the ill effects of using this extract. 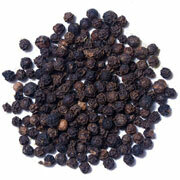 This is basically black pepper which won’t help you burn fat. But it will speed up the absorption of the nutrients in Trans4orm allowing them to work faster and more effectively. 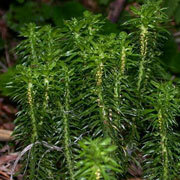 This plant is sometimes referred to as Chinese Club Moss although it is native to India as well as Southeast Asia. It has been used in traditional Chinese medicine for years. It contains a compound known as Huperzine A which is nootropic. In short it can improve your memory function and cognitive abilities. Although it easy to build a tolerance to, after the first few doses you are unlikely to experience any brain boost. 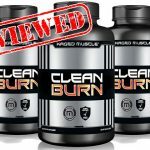 This may do little to improve your fat burning abilities and you should be concerned regarding the fact that this compound can stay in your body for a long time and has the potential for side effects. We will cover this in a later section. 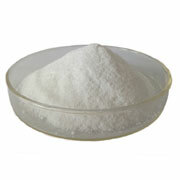 It may be one of the reasons that Evolution Nutrition feels it is best to cycle your use of Trans4orm. 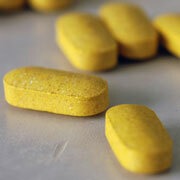 All three B vitamins are good supporting nutrients for your immune system and general health. However if you are already eating a healthy diet you should have more than enough to see the benefits. Therefore they shouldn’t make much of a difference to you. Niacin (Vitamin B3) – Good for overall health but you are unlikely to notice any difference when it comes to actually boosting fat loss. Vitamin B6 (Pyridoxine HCl) – A good supporting ingredient this can help promote energy and metabolism whilst supporting your immune function. Vitamin B12 (as Methylcobalamin) – Known to speed up your metabolic rate and boost energy. It is also essential to building muscle which will increase your calorific burn and the rate at which you burn fat. Folic Acid – Included in this mix to boost the effectiveness of the B vitamins. The fact that it may help your cognitive function doesn’t hurt either! There are actually two different forms of Trans4orm but essentially it is 2 servings a day – this could be improved. Powder – The directions tell you to take 1 serving mixed with an 8oz glass of water with your breakfast. You can then take a serving in a glass of water 4 – 6 hours later; ideally in the middle of the afternoon. Capsules – You should take 1 serving in the morning on an empty stomach and a second in the afternoon. Evolution also recommends that you drink at least 8 glasses of water a day and only take Transform for 8 weeks before having a 4 week break. The problem with this is that the dosage schedule simply isn’t effective enough. To boost and maintain your fat burning abilities throughout the day you need to be taking 3 or 4 servings a day. Trans4orm are running short. Most doses are between 15mg and 30mg per day but individual tolerance varies making the amount in Trans4orm a concern. This is the reason why many Western countries have banned this substance. On top of that it is not the most effective nutrient for fat loss and not the best appetite suppressant. Remember this isn’t even a direct fat burning ingredient; it has only been added for its potential cognitive enhancement. Evlution Nutrition would have done well to have left this one out of the mix. Do you really want any of these issues when you are trying to cut up? These are two of the best and most effective nutrients on the market to effectively promote fat loss. EVL Nutrition has done a good job getting the right active doses in this formula too. It’s a shame they couldn’t have added more direct active nutrients to promote weight loss, we feel just two nutrients isn’t enough. You should feel confident when you see a 100% transparent label on the bottle. 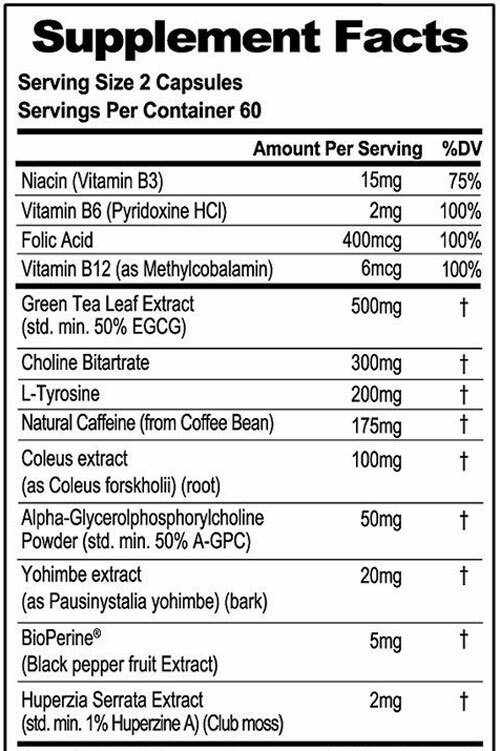 All the ingredients are listed and all the amounts are given so you know exactly what you are putting into your body. It helps us analyze how effective the formula is and we can watch for overdosed nutrient that may cause health issues. At $20 for a month’s supply it is hard to complain about the price. Although quite frankly you are getting what you pay for. This isn’t going to maximize your fat loss compared to the top products out there. While caffeine and green tea are great choices it would have been nice to see capsaicin based thermogenic such as cayenne pepper or chili to boost performance. Green coffee bean is also a top choice that could have replaced some of these unnecessary nootropic components. While something like Glucomannan would be highly beneficial is fighting off food cravings as an appetite suppressant. A lot of the components in this formula are designed to help with focus. The idea being that the better you feel and the more concentrated you are the more exercise you will do and thus burn more fat. Although this may sound great in theory this isn’t always the case in practice. Add to that the fact that he amounts of Alpha GPC & Coleus Forskohlii extract are on the low side and this isn’t the most effective nootropic either. A red flag should go up when you see either Yohimbe or Huperzine A on the label. These are both known to cause users side effects. Although these are not massive doses, we would err on the side of caution. They are not all that effective either so definitely not worth the risk. Only 2 servings a day. Remember the best fat burners will offer you 3 or 4 does per day. This keeps your body burning fat effectively around the clock. 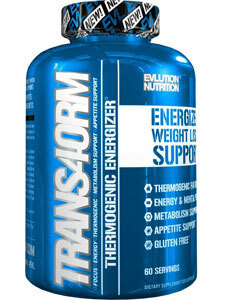 Trans4orm has the potential to burn fat but it will only do it for a few hours after each capsule has been taken. The rest of the day your body will return to normal levels of fat burning activity. If you want to maximize your fat loss look for a serving schedule of 4 servings a day. What are people saying about Trans4orm? The reviews on Amazon are on the whole generally excellent. Trans4orm scores a pretty impressive 4.2 stars. 72% of users are satisfied with the product they purchased. 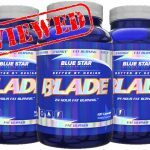 I do find it disappointing that the majority if the 5 star reviews are somewhat vague, simply stating amazing weight loss or the fact that it doesn’t make them jittery. Of more concern is the 8% of users who have given it just 1 star. Their responses range from the usual ‘no effect’ to a list of side effects that include anxiety, diarrhea, headaches and stomach pains. We would have liked to see some detailed user testimonials on their official website with real pictures of before and after, however this is not the case. Overall actual fat loss results seem fairly mixed with some users suffering from side effects. Which we can safely say this is down to the Yohimbe and Huperzia Serrata Extract. We are a big fan of EVLution Nutrition’s products but this one simply doesn’t hit the mark. 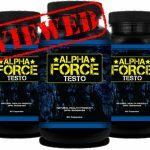 It is a mixed bag with an ingredient formula that tries to be fat burner and nootropic at the same time. Trying to be two things at once isn’t going to be the very best in either of these category. 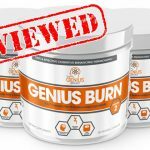 The lack of more top fat burning ingredients and the risk of side effects from two nutrients means we really can’t recommend this product unfortunately. This is a mediocre fat burner at best and a poor brain booster. With just two or three effective nutrients for fat loss and the very real risk of side effects we highly recommend you look elsewhere. If you are really pushed and I mean really pushed it could be a budget option to consider but you get what you pay for. However if you want to see real results and maximize your fat burning efforts then there are way more effective products on the market.